The summer is almost here and I am super excited for all the things we can only do when its warm and hot. One of the benefits of living down South is the summer tends to be quite warm with temperatures reaching 35 degrees last summer (this is very exciting for some one who grew up in the north on the wet and rainy west coast). I absolutely love it when the weather starts to get really hot, when I can go bare legged, eat outside every day and go wild swimming in the Thames river. Every year I like to write myself a little summer bucket list with all the simple things I want to enjoy during the summer so I thought I'd share it on here also. 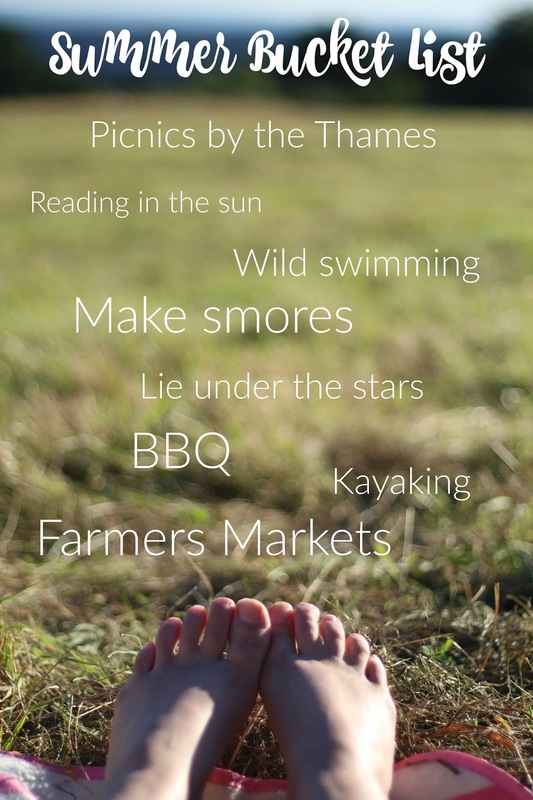 What are your favourite things to do in the summer? Let me know in the comments below!